Nissan is calling its latest Murano model its “most social car” ever. But what is it about the 2018 Nissan Murano interior that makes it so social? Nissan is calling its latest Murano model the “most social car” that the brand has ever designed. But what is it about the 2018 Nissan Murano interior that makes it so social? It’s all about the design. According to Nissan, the center console has been expanded, which encourages interaction between passengers up front and in the back. Rear seat passengers have a better view of the road ahead (just no backseat driving! ), which also helps conversation flow more smoothly. That center console also includes two USB ports—one for front seat passengers and one for those in the rear—as well as an 8-inch multi-touch color center display. 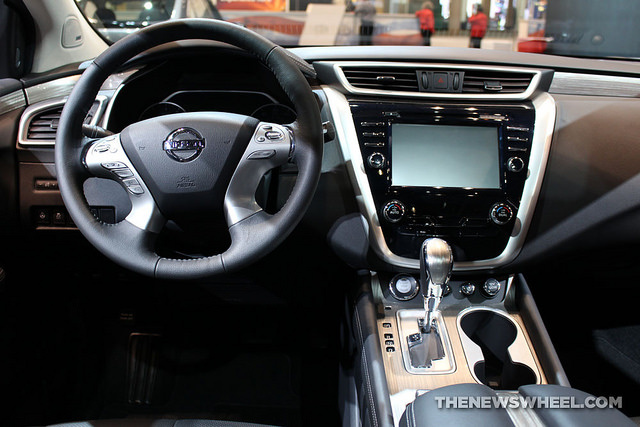 Nissan calls the interior “ultra-modern” and “open-concept,” which encourages comfort and ease of conversation. Further enhancing the relaxation element are the front and rear outboard Zero Gravity seats with outboard heating and cooling available. Rear seat comfort is also maintained with reclining rear seatbacks, while the driver can save his or her favorite steering wheel position with the Intelligent Key’s® steering wheel position memory. Finishing off the interior are premium materials, ambient lighting, and advanced technologies to keep all passengers safe (with Intelligent Mobility technologies), connected (with Apple CarPlay™ and Android Auto™), and entertained (with a crystal clear audio system). Test drive the 2018 Nissan Murano at Rothrock Nissan and see for yourself what makes it the most social car Nissan has ever built.